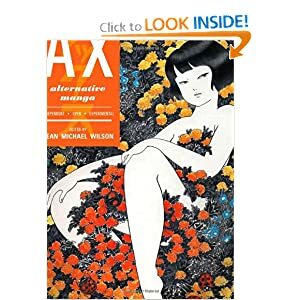 A groundbreaking introduction to the most creative and cutting-edge works of Japanese independent comics, presented in English for the first time, AX is the premier Japanese magazine for alternative comics. Published bi-monthly for over ten years, the pages of AX contain the most creative and cutting-edge works of independent comics in the world's largest comics industry. Now, Top Shelf presents this collection of stories from ten years of AX history, and features work by such visionaries as Yoshihiro Tatsumi, Akino Kondoh, Kazuichi Hanawa, and Shinichi Abe. Born April 17, 1942 (or 1947) in Japan, cult horror manga-ka Hanawa began his career in Garo in 1971 with Kan no Mushi, a tale about a destructive boy who is taken to a sadistic accupuncturist. He then focused on macabre satires based on Japan's medieval aristocracy. In 1994 he was arrested and put in jail for possession of illegal firearms. 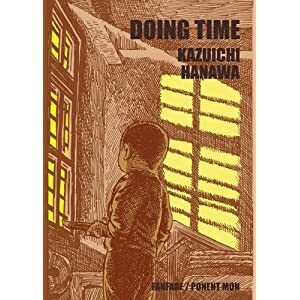 After his release he collected his experiences in this book Doing Time which was first serialized in the magazine AX in 1998.